Memorial Day is upon us, which is a terrifying reminder of how time is flying. It felt like yesterday when we were beginning the year and now look at us! This salad is something you might want to make to take to a barbecue. I feel like Memorial Day weekend is the unofficial kickoff of all things summer and this salad is a nice combination of refreshing and light. 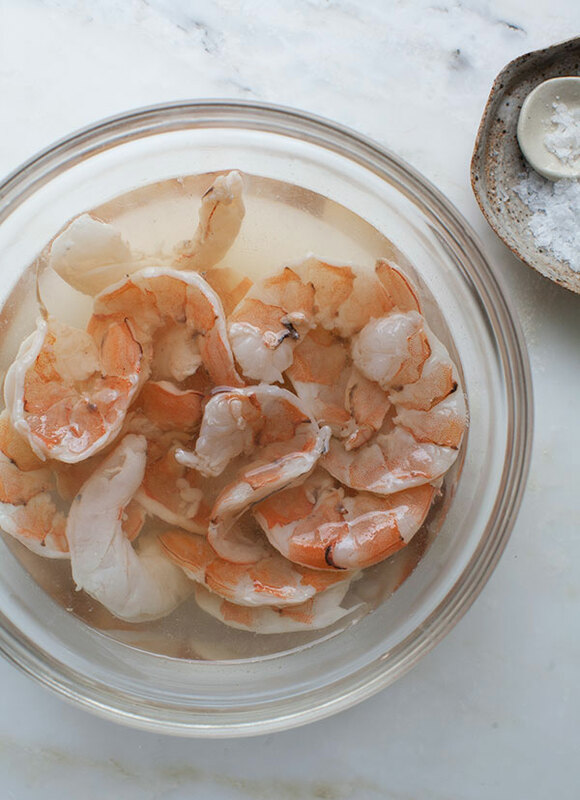 If you’ve never had pickled shrimp before, you’re in for a treat. I usually have pickled shrimp in a southern context. 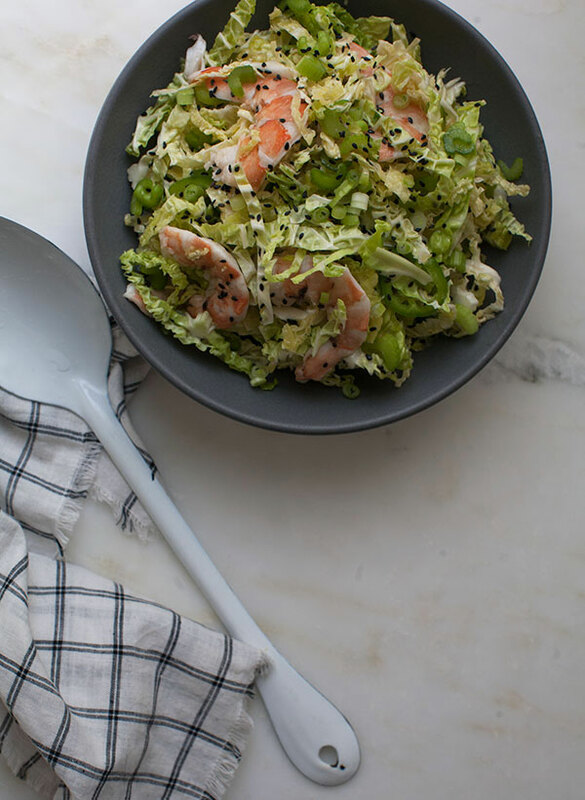 My favorite salad on the entire planet might be a pickled shrimp salad with buttermilk dressing. Perhaps I’ll share that iteration another day; today it’s this one! My favorite part of this salad is how the pickling liquid is reused as the main ingredient in the dressing—waste not! 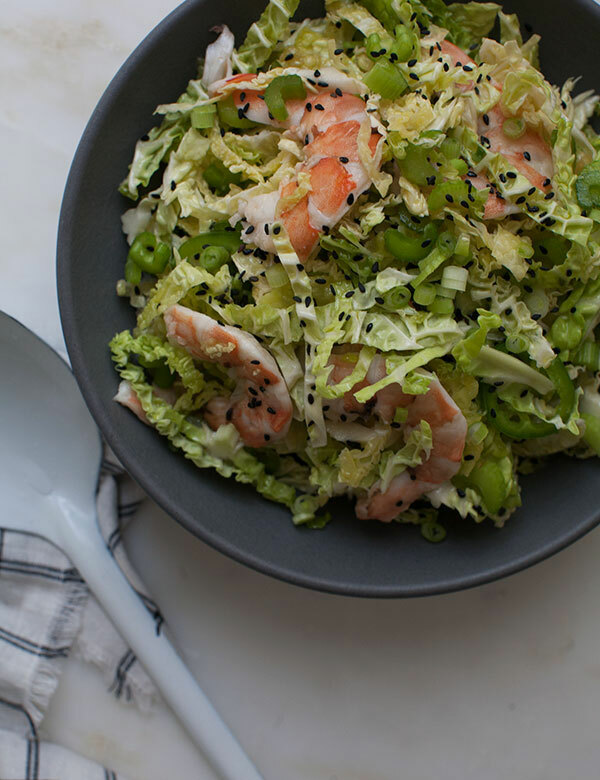 A bit of olive oil and sesame oil add some nice flavor and richness to this otherwise super light salad. 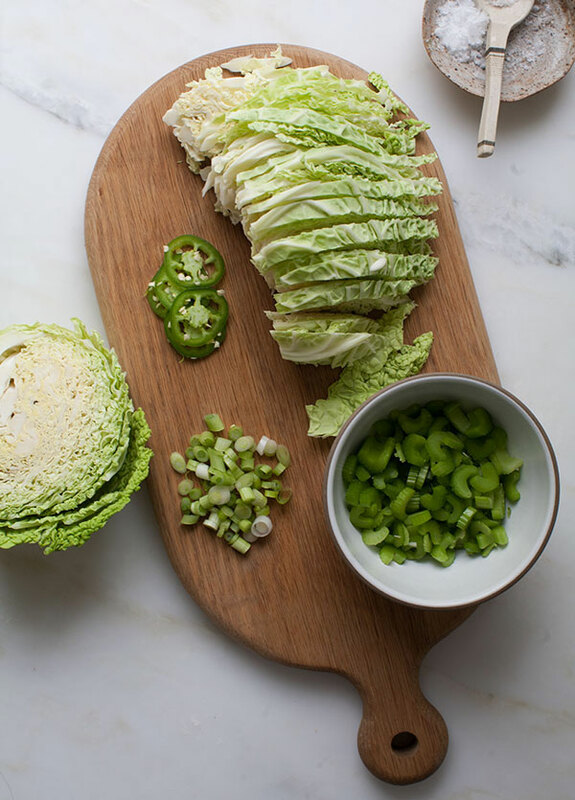 The celery and scallions and jalapeño add awesome flavor. I could eat this salad over and over. And while, it’s the best thing to serve to a large group, feel free to halve it for a smaller portion. In a small saucepan, add the rice wine vinegar, sugar and salt together. Bring the mixture to a simmer, stirring to ensure that the sugar and salt have dissolved. Place the shrimp in a bowl; pour the vinegar mixture over the shrimp, they should immediately turn a bright orange/red color, cooking. Cover the bowl with plastic wrap and transfer to the fridge to pickle for about 2 hours. 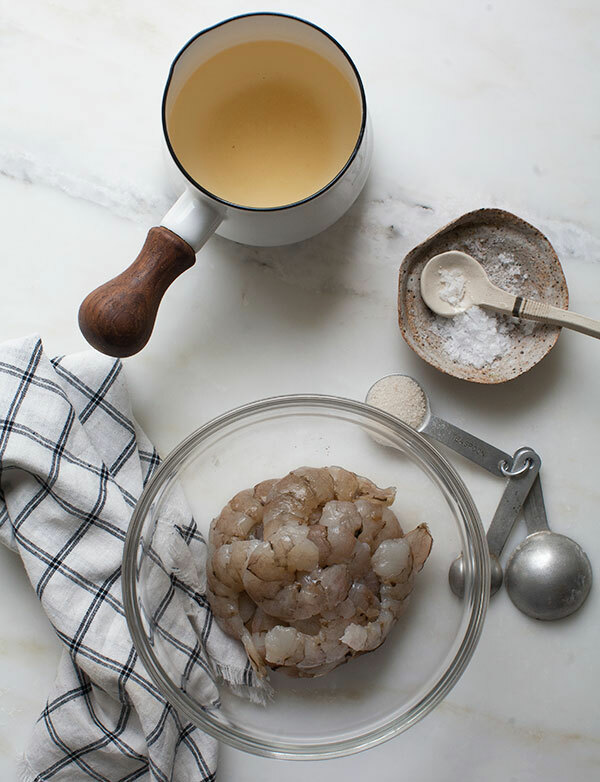 Remove the shrimp from the pickling liquid and pour the liquid into a large bowl. Whisk in the olive oil, sesame oil, lime juice and grated ginger. Next add the cabbage, celery, scallions and jalapeño. Toss the salad so everything is coated in dressing. Sprinkle with the tablespoon of sesame seeds and toss once more. Fold in the pickled shrimp and serve immediately or place in the fridge until you’re ready to serve.